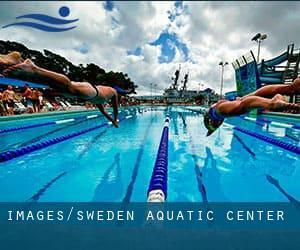 We recommend you contact the Sweden aquatic center prior to your visit to confirm that it's open, since it is not quick to find Water Aerobics in Sweden. 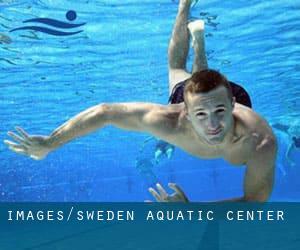 Contact the premises of any Sweden Swimming Lessons listed here for extra information about timetables and fares. In recent years, it's grow to be easier to find Sweden Aquatic Center. Do you know in which pools are these lessons available? Let us know!. Are you on holiday and would like to maintain fit and healty? Swimia.com delivers you the simple and quickest way to find Aquabike in Sweden near your current location. Timetables for Pools are changing from time to time, so we suggest you check the schedule in the pool you select to visit by contacting them. Try any Sweden Swimming Lessons to tone and reduce size effortlessly. Enjoy the best indoor pools in Sweden and don't worry about the weather. These facilities are open all seasons and you can enjoy a swim at the same temperature every day of the year. If you're tired of having eyes and irritated skin, finding a saltwater pool in Sweden may be the solution. You should understand that the level of salt from these pools is well beneath the level of salt from sea water, specifically they are talking about a tenth or less. There are quite a few reasons why it's best to choose a heated swimming pool in Sweden. Probably the most critical one relies on the importance of keeping the body temperature stable. If the water is as well cold, your body will try to warm it up and you will lose strength to swim properly. Updated on 2019 Industrigatan , Bjarnum (Postal Code: 28020). Among all the activities offered by the center, if you're enthusiastic about swimming you will appreciate 25 meters, Indoors. If you need to contact this Swimming Pool, email address and phone number are both number. Updated on 2019 Kopmannag 3 , Norrtalje (Postal Code: Unknown). Among all the activities offered by the center, for anyone who is interested in swimming you will delight in 25 meters, 1.2 meters - 1.8 meters depth, 1.2 meters - 1.8 meters depth, Indoors. If you have to contact this Swimming Pool, e-mail address and phone number are both number. Updated on 2019 Kungsallén , Romakloster (Postal Code: 622 54). Among all the activities provided by the center, if you are interested in swimming you will enjoy 25 meters x 8.5 meters, 4 lanes, 0.9 meters - 3 meters depth, 0.9 meters - 3 meters depth, Indoors. If you'll want to get in touch with this Swimming Pool, e-mail address and phone number are both number. Updated on 2019 Attundavägen 5-7 , Taby (Postal Code: 183 36). This sports center offers Olympic size, 6 lanes, 1.3 meters - 3.9 meters depth, 1.3 meters - 3.9 meters depth, Indoors. Contact info for this Swimming Pool such as phone number and email address are number. Updated on 2019 Slottsgatan , Sosdala (Postal Code: 28010). Swimmers like you reported 25 meters x 8 meters, 1 meters - 2 meters depth, 1 meters - 2 meters depth, Indoors. Phone number and e-mail address are number for this Swimming Pool. Updated on 2019 Gymnasietorget 2 , Huddinge . Swimmers like you reported 25 meters, Indoors. Unfortunately we do not have the e-mail address of this Swimming Pool, but we can provide you with the phone number. Updated on 2019 V.Torggatan 26 , Karlstad (Postal Code: 651 84). Among all the activities offered by the center, for anybody who is keen on swimming you'll get pleasure from 25 meters, 8 lanes, Indoors. If you might want to contact this Swimming Pool, email address and phone number are both number. Updated on 2019 Tingshusgatan 18 , Ludvika . Among all the activities provided by the center, if you are considering swimming you might enjoy 25 meters, 6 lanes, Indoors. If it is advisable to contact this Pool, email address and phone number are both number. Updated on 2019 Folkets Hus , Vilhelmina (Postal Code: 912 32). Swimmers like you reported 25 meters, Indoors. Phone number and email address are number for this Pool. Updated on 2019 Petrus Laestadiusväg 15 , Umea (Postal Code: 903 42). This sports center offers 25 meters, 6 lanes, Indoors. Contact data for this Swimming Pool like phone number and e-mail address are number. Updated on 2019 In downtown Staffanstorps , Staffanstorps . This sports center provides 25 meters x 12.5 meters, 6 lanes, Indoors. Contact information and facts for this Swimming Pool for instance phone number and email address are number. Updated on 2019 Among all the activities offered by the center, for anyone who is considering swimming you can take pleasure in 25 meters, 6 lanes, Indoors. If you have to contact this Swimming Pool, e-mail address and phone number are both number. Updated on 2019 Badhusplanen 1-3 , Solna (Postal Code: 169 55). This sports center delivers 25 meters x 10 meters, 5 lanes, Indoors. Contact info for this Swimming Pool such as phone number and email address are number. Updated on 2019 Västergatan 54 , Eslov (Postal Code: 241 31). Among all of the activities offered by the center, if you are thinking about swimming you will take pleasure in 25 meters, 6 lanes, 3.8 meters maximum depth, 3.8 meters maximum depth, Indoors. If you might want to contact this Swimming Pool, e-mail address and phone number are both number. Updated on 2019 Sveavägen 2 , Vaggeryds (Postal Code: 567 32). Among all of the activities provided by the center, if you are keen on swimming you will enjoy 25 meters x 8.5 meters, 3.1 meters depth, 3.1 meters depth, Indoors. If you need to get in touch with this Swimming Pool, email address and phone number are both number.